Is Facebook turning into Snapchat? Last week, Facebook users around the world were greeted with a mysterious change. There, atop the usual news feed, was a row of circles. Inside each circle, a photo of one of their friends. What in the world is happening, cried out millions of people over 30 who have never used Snapchat. 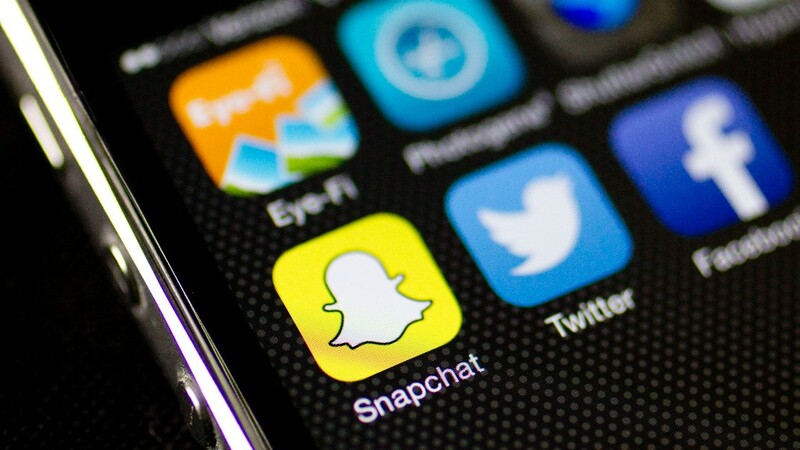 It's a new Facebook feature called Stories, and it's an imitation of a popular feature on rival app Snapchat (SNAP). Facebook previously added Stories to Instagram, but this latest roll out on its core iOS and Android apps reaches far more people. Many of whom are, understandably, confused. We turned to some of CNNTech's resident millennials and Facebook (FB) itself for tips on how to use Stories without embarrassing yourself. A Story is a collection of videos and photos from the past day. It is separate from the photos and videos you share in your newsfeed. You start with one item -- say, a shot of a good dog you met on the way to work -- then add more as the mood strikes you. Since there are no captions, cartoon or text overlays are often added for context or laughs. All the clips added in the past day are shown as one continuous stream. Each segment automatically disappears after 24 hours. Tap the new camera button on the top left corner of the Facebook app. Use the magic wand icon to add graphics, text, drawings and interactive animations. Hold the big button down to shoot video, or tap it once for a photo. You can also import existing photos and videos. When you're done, hit the giant arrow, select "Your Story" from the list of contacts, and tap the send button. What kind of pictures go into a Story? Stories are designed for little things that happened during the day about which you normally wouldn't make a standalone post. CNNTech production assistant Lisa Fischer, 22, suggests picking things that are "interesting or funny in the moment but not long-term interesting enough to post as like, an Instagram." Facebook recommends highlighting the small moments, like the Monday blues, working up an appetite for lunch, celebrating a workout or getting dressed up for a night on the town. "A good story should either be interesting, funny, or both," says CNNTech multiplatform editor Ramy Zabarah, 26. "I prefer funny, so creative use of the filters and lenses, witty captions, or absurd things caught on the subway or street." "Don't post too many selfies or you'll seem like a narcissist," says Fischer. "But if you insist on posting selfies, do it with a filter so people think you're being tongue-in-cheek." Luckily, some of Facebook's best new camera effects are interactive animations for faces. They know when you open your mouth or shake your head, so you can show off your new bangs while also spitting fire. Our millennials agree: Cheesy filters are really fun. Facebook has invested no small amount of effort and money into its cutting-edge effects, like animated slices of pizza that fly into your mouth and a mustache that spells "mustache." There's a glittery gold trophy to celebrate your accomplishments, lasers that shoot of your eyes and custom frames that say hip things like "slay." Stories are a primarily visual medium. It's common for people keep their phones on mute while browsing social media, so skip chatty videos or anything that relies on audio. Add text on top of the image instead, but make sure it's short enough for your friends to read in a few seconds. Stories live only on smartphones (they're not viewable on desktop). We hold our phones vertically because that's how the smartphone apps are designed. Ergo, avoid including horizontal video. "I will literally quit your story if you put a horizontal video in there. I am not turning my phone," says Zabarah. "I'll turn my head before I turn my phone," agrees Fischer.